Hello people this thread is all about our beloved mushroom kingdom. The land we all know and the land we are mostly on our duty to save a princess. But what do we know about this fascinating empire? How is the economy doing and how is the politic? it is clearly a monarchy... But who is the ruler. It seems like princess peach but bowser is really powerfull and has castles and henchman all over the kingdom! And there are a lot of other unsolved mysteries like who are the shy guys?! (and why are they shy?) how is the climate? (i mean a desert next to an iceland is kinda weird >_<) and because i want to make this thread last a bit longer i'm going to post here if there is any spectacular news from the mushroom kingdom. 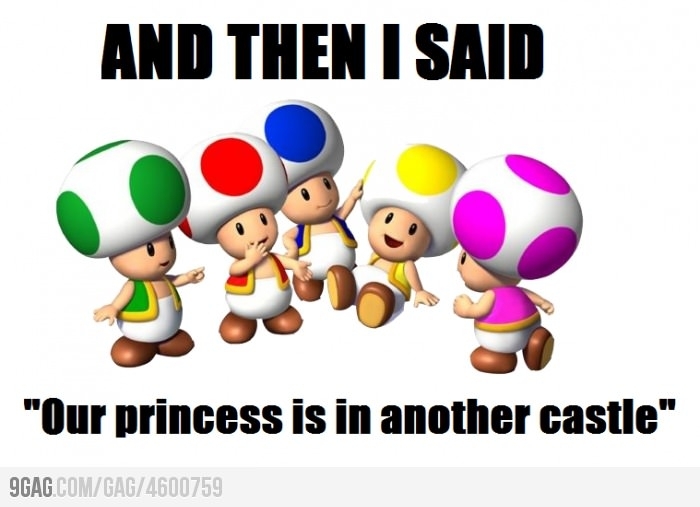 For example; "princess peach kidnapped by bowser ! 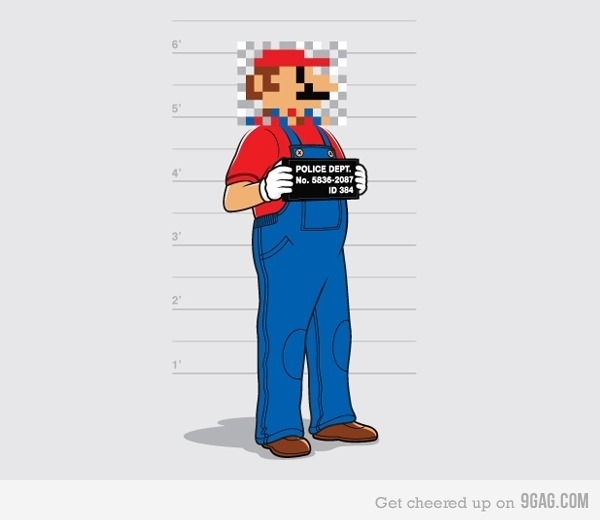 Again" or "criminal caught because of jumping on turtles"
Together we can make this thread really funny and don't say the mushroom kingdom doesn't exist I have seen it myself! Btw; if you have any suggestions or ideas please tell me. AND IF YOU WERE TO LAZY TO READ TE TEXT ABOVE TRY AGAIN! Well, it seems that it is more of a collection of city-states than one unified nation. 8 distinct worlds each with a different climate and each having a castle seems like the perfect example of different city-states. And Toadstool is the princess of the entire kingdom, therefore in theory, her never seen father is the real ruler of the mushroom kingdom. And with the recent boom of gold, they must have a pretty stable economy that probably focuses on trade with other nations. They probably can't grow too much with 1 or 2 worlds of decent land per game. I must bring up the fact Bowser created a galaxy of his own at one point. It seems clear that Peach is somehow of value, because if she wasn't important Bowser would have no reason to kidnap her. She could just be from a rich family and Bowser is holding her for ransom, running a private army is expensive. The Koopa King definitely has more power and Princess Toadstool seems like just a title. Her Castle is weakly protected and there is no known time where she has tried to run the kingdom, all she does is bake cakes. She is the technical princess, yet if her title is princess, she either has an older sibling which is the king or queen, or her parents are still in power. He is trying to conquer the kingdom, but if there is no supreme ruler, who is there to conquer? He already has most of the kingdom under his control. @amazingpopo_man your probably right. the mushroom kingdom is property from princess peach but Bowser is just more powerfull and conquer the land while she is watching or getting kidnapped again. Depends on the system you live under. I think we have solved the "mushroomkingdom ruler thing" so let's get to the next mysterie..... Why are shy guys shy? Perhaps Shy Guys are shy is because they are actually very hideous creatures, so they cover themselves in their clothes and masks, and so they are shy because they might be nervous of what people may think about them being hideous when they only want to be accepted. 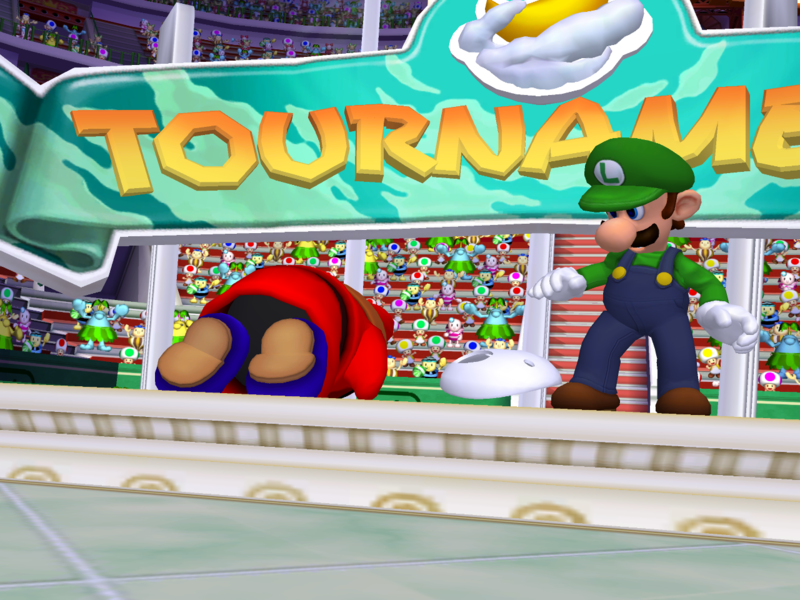 Like in Mario Power Tennis, Shy Guy tripped and his mask came off but only Luigi saw and he seemed shocked! Forget the mushroom kingdom, what time Mario have go to Egypt? Peach is valuable because she can break bowser's spell on the kingdom. The first super mario bros guidebook said this was the story. One day bowser and his minions show up and attack the kingdom. they turn all the toads into blocks, bricks, and even plats! Peach is the only one who can break his spell but gets kidnapped. Once mario saves her the spell is broken and bowser is defeated. @Zoroarkrules25 that makes sense but why are there still so many bricks and is bowswer still kidnapping peach?? "toads have been fooling/trolling Mario for years"
Lol that is the funniest thing ever. What about yoshi he is used as a slave and abandoned by mario when he no longer needs it.